One home features a bit of whimsy: A Mission-style house on the northwest corner of Washington and Westmoreland Boulevard with an automobile garage designed like a Dutch windmill, including a conical top and sails. Of course, the garage and the house are long gone. J.H. Lapham is building a two-story, seven-room home at 2045 S. Oxford while the California Bungalow Co. is building a two-story frame home at 1732 S. Oxford that “will compare well with the surrounding homes.” Note that while the neighborhood in the 1700 block of South Oxford appears to be generally intact, The Times apparently erred in the street numbers, which go from 1728 to 1734 S. Oxford. Stay tuned more architectural ramblings to South Oxford. 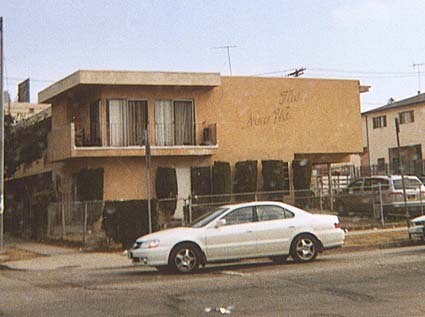 By the way, here are the “New Ha Apartments.” Apparently the signage once read: “New Hampshire,” but I like it better this way. 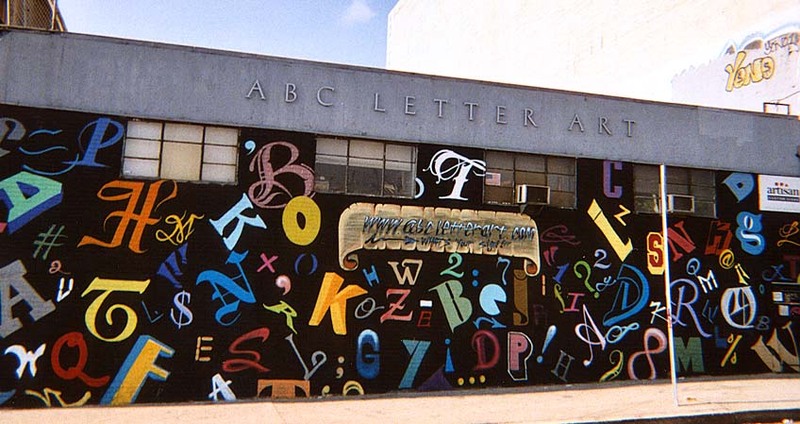 And a random snapshot of ABC Letter Art on South Vermont. Maybe the folks who own the “New Ha” should pay a visit. 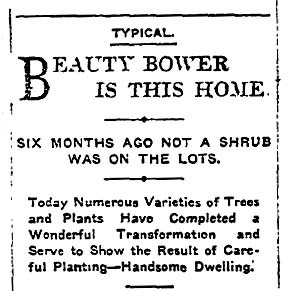 This entry was posted in 1907, Architecture, Real Estate, Streetcars and tagged 1907, Architecture, real estate. Bookmark the permalink. It’s always been sad to me that So Cal has too easily tended to tear down its fanciful architecture — what L.A. lacked in 18th century edifices, it always made up for with wonderful kitsch and whimsy. I don’t know if it’s modern-day seismic safety standards or what, but much too much has been lost. I think people are getting a better sense of preservation in the 21st century, though.